16/04/2019: Passed the sign for this place the first full day we were on the island, late in the day so purchased scones that were left and safe to say they were very good.....and that was with no jam/ butter. 16/04/2019: In the village of Northton about half way down on the right is Croft 36. I stopped there 3 days in a row and sampled some of their delicious fare. There are assorted pies and bridies and home made bread as well as soup, teas, coffees, lemonade, tray bakes etc. It is in a small shed with an honesty box and suggested prices. We tried their pies and bridies and they were delicious. I would recommend getting there before 11:30 as it sells out quickly. 18/04/2019: We have been here several times over the years on visits to the island. 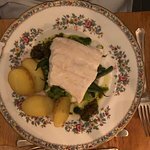 The high quality of the food and the level of service still remain excellent.This time I had the haddock and chips and I must say this is the best I have ever had, the batter was so light and crispy, the fish tasty and the chips cooked just how the should be. Would highly recommend this restaurant if you are visiting the island. 18/04/2019: We come here every time we’re on the island and it never disappoints! It’s a lovely atmosphere with really friendly staff and the food is delicious! Always well presented and tasty! I would recommend booking as it’s always pretty busy when we go! 16/04/2019: When booking we were advised that the only lunchtime booking available was for 1.30. We had allowed an hour to get there from Stornoway which should have been fine, but we were held up by a slow moving vehicle so we were a little later than 1.30, then couldn’t find anywhere to park. We apologised to the waitress for being a bit late. She was very pleasant, said it didn’t matter. My 6 year old granddaughter walked through to the restaurant and as we were about to do the same an angry man appeared and told us that ‘the kitchen stops serving at 1.30 and you’re too late. I will let you in but don’t do it again’! Spoken very aggressively. We were taken aback but went in anyway. 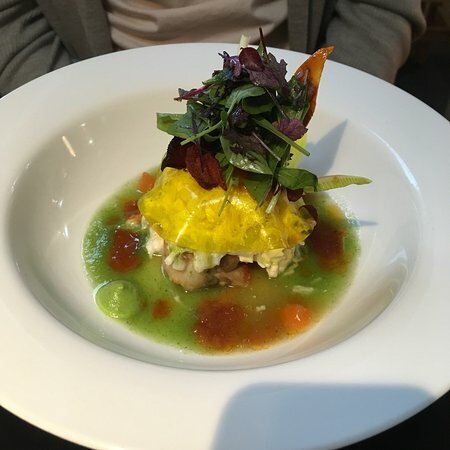 The menu isn’t extensive, the restaurant only accepts cash or cheques (we were told this when booking) and all main courses were just under £30. We decided just to have a starter with a children’s meal for my granddaughter. Not only because of the cost but because we just didn’t feel welcome. The food was delicious, but we felt very uncomfortable. Other people were having their starters brought to them while we were there, so food was obviously still being served. Main courses were being brought to tables as we left. We weren’t told when we booked that the kitchen stops serving at 1.30. What an awful way to treat people. 07/01/2019: We happened upon this place by accident, but were very glad we did. The staff were really friendly, and were able to accomodate a group of 8 with various dietary requirements with ease. We liked it so much we went back a day later for more. 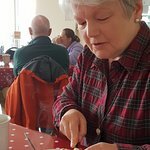 29/12/2018: We stopped at the Temple Cafe for some afternoon lunch whilst visiting the island in June, we had been told of the cafe by a few people we met and decided to give it a try. 16/04/2019: It is out of the way and the road to get to it is horrendous and they have stopped doing lunches but it is still worth going for the coffee and scones with cream and jam or other baking. 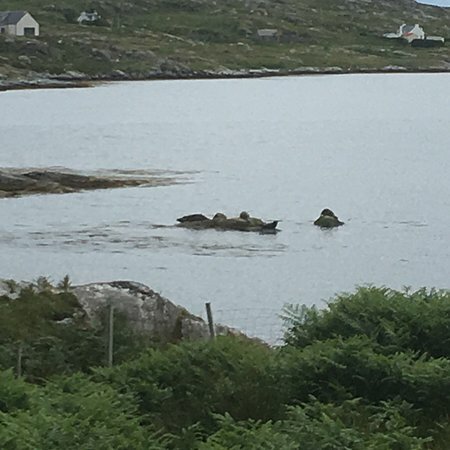 The views are lovely and it is a haven of peace just to enjoy and admire the lovely paintings of Harris. Really nice couple that run it and I hope they continue to do well with other places opening up in Harris. 12/12/2018: The Café at the gallery of Andrew John Craig is on the nice rough east side of Harris. There are no beaches on this side of the island, but scenic landscape unique to this place of the world. Just a few hundred meters off the main road is the signposted Café. A carpark is just beside the house (disabled parking in front of the house closer to the entrance). The tea, coffee, snacks (fresh made scones!) and soups I had there on two visits in 2017 and 18 very, very tasty. And the pictures all around the on the walls are ranging from flowers on the beach, to local landscapes at the beaches, to expressive dark clouds over dark waters. 17/04/2019: This was an absolute gem and lovely to meet our hosts Billy, Margaret and the adorable Bella. Fantastic room, en-suite and massive guest lounge with hot drinks, games and local interesting books on the area. 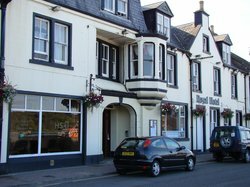 The views from the windows are super, the walk along the beach to the Am Politican for a great meal and seeing the seals in the sea. Breakfast was superb, with lots of local products. The white pudding was my favourite. Thank you for a great stay. 16/04/2019: It must be one of few airports that offer free parking and the only one to have scheduled flights from a beach! 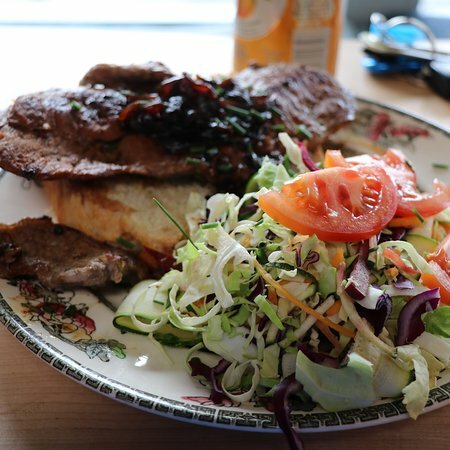 The cafe serves good food and I used it as a base for a walk around the headland. Free and fast WiFi is available. If you’re dropping in for a drink or food, you must time it to watch a flight land and take off, which there can be only 2 per day. I’ll be back but next time it’ll be by plane! 17/04/2019: Went for dinner as very few choices of places to go in the area. Service ok. Food disappointing. No seafood special available. Very expensive. Toilets not very clean. Don't know how this place gets good reviews. The chef must have been having a night off when we went. 16/04/2019: As a large group we were looking forward to our meal at the Anchorage. We had eaten there last year and it had been very good. The restaurant is nice and well laid out with views over the sea. The welcome was good and our waiter very friendly and helpful. We had heard that the chef had walked out the week before so asked our waiter who was doing the cooking and he replied the owner (Sally) whilst they were waiting for 2 new chefs to arrive from Italy. The only 2 that were happy with their meal were the 2 that ordered the fish and chips. Pie of the day was chicken and leek pie and it was ghastly. The crust wasn't cooked properly and when you lifted the crust up it was like a swimming pool with a few bits of chicken floating about and 1 little bit of leek. It was more like a soup and the veg that came with it was cold and the broccoli must have been at least three days old as it was more yellow than green. And for that we were charged £16.50!. The organic chicken came in breadcrumbs like nuggets that were solid and difficult to bite into. A few skinny chips & coleslaw accompanied that dish. You've got the idea. The meringue for desert was certainly not home mad and it was quite funny watching some of our party trying to hammer away at it with spoons and forks. It was a disgrace and an absolute rip-off. I can only hope that for other diners that these Italian chefs hurry up and get there to rescue what is quite a nice restaurant. PS The gin & tonic was good! 14/04/2019: We had a marvellous lunch. Fish and mashed potatoes and vegetables were excellent. Sticky toffee pudding was very good. Service was friendly and quick. 08/04/2019: We ate here last night. It’s not well signed so we walked past it three times before we realised that it’s in the hotel. Oh well. 16/04/2019: Great TA comments led me here. The menu is short, but spans 3 cuisines. There’s are Indian & Italian selections which may come from the owners backgrounds. There is also a Scottish twist. I wish I’d tried the scallop pakora when I was here. I’d opted for the Barra Lamb Rogan Josh. It came with a generous helping of rice, but no naan breads were available. It was quite hefty at nearly £16, but the meat was plentiful, tender and authentic Rogan Josh flavour. 15/04/2019: Ate here 4 nights in a row every meal was fantastic. 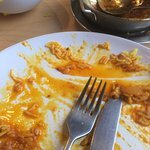 The scallop pakora is a must to try.on the last night they made a vegetable jaipur and a vegetable Rogan Josh for my husband and we both agreed it was one of the best curries we have had. The music list played every night was brilliant, made it a very relaxing place to eat. 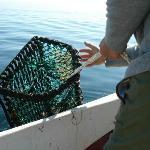 The staff were all very friendly and nothing was too much trouble. 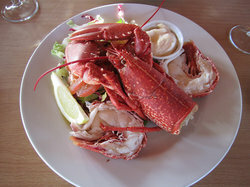 It should be top of everyone's list of best places to eat on barra. 04/02/2019: We stopped here for lunch one day. Lots of choices for vegetarians and great coffee. There’s also a gift shop there that sells local jewellery. Well worth a visit. 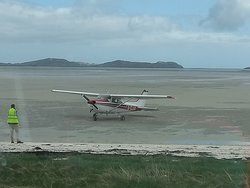 04/02/2019: Whilst having a drive around South Uist we found the Orosay Inn and stopped off for lunch. We thought it might be closed as there are not many tourists on the islands in January but it was open and we were made to feel very welcome. The dining room is bright and has lovely views out to sea. We had an amazing homemade tomato soup to start with and then both opted for the Mac n Cheese with chunky chips. Huge portions but we managed to finish it all, too good to leave any! 20/10/2018: Poor quality of food and service. Great views in the restaurant, pity the food and service was in stark contract. Avoid! 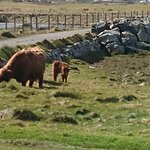 14/04/2019: On holiday on Barra and took a drive to Vatersay cafe for lunch. Nice friendly staff serving good home made soup and sandwiches. Cakes are all home baked. Give it a try, the views are outstanding. Plenty parking also. 06/04/2019: We were heading to the beach when we came across this little gem. It's a community venture and deserves support. I had a toastie and coffee whilst my daughter had a morning roll and a pot of tea, the food was delicious and priced reasonably. The service was warm and friendly. There was clean toilets inside and also facilities outside which my daughter took advantage of after a dip in the sea. I can imagine the the cafe will get very busy in summer but this should not put you off a visit. The beaches are both stunning as is the surrounding area, worth getting your walking shoes on for. Nearly forgot we got cake to takeaway, baked locally, very tasty. 04/04/2019: We received a delicious set menu, using fresh local produce while being surrounded by the most incredible, dramatic views - despite the stormy weather. Extremely attentive service, alongside providing informative local knowledge about the food that was being served. 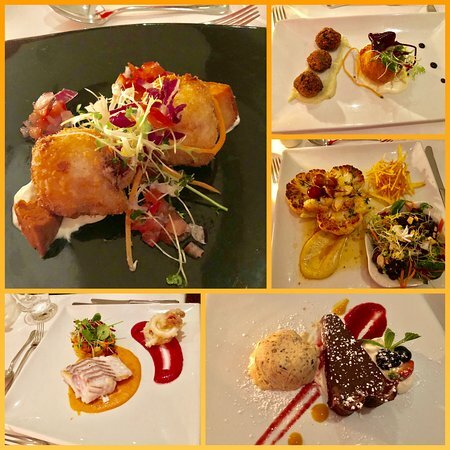 We would highly recommend Scarista House to experience the amazing food that the Isle of Harris has to offer, as well as the friendly hosting service from the owners. 04/04/2019: The whole package. An excellent fine dining meal in a beautiful house. Always a warm welcome from Tim and Patricia. 17/04/2019: Popped in today for lunch. Friendly staff and decent lunch at a good price! Got a flapjack to takeaway and was amazing! 15/04/2019: Cafe has a nice selection of cakes and rolls, sandwiches and toasties. It is possible to choose extra fillings. Cheap and tasty. 14/10/2018: Just what one would expect from a popular hotel/pub. The food was very good, with good service and good cheer. 02/10/2018: Fabulous, warm and friendly atmosphere. Staff are helpful and polite. Food was excellent and well presented.